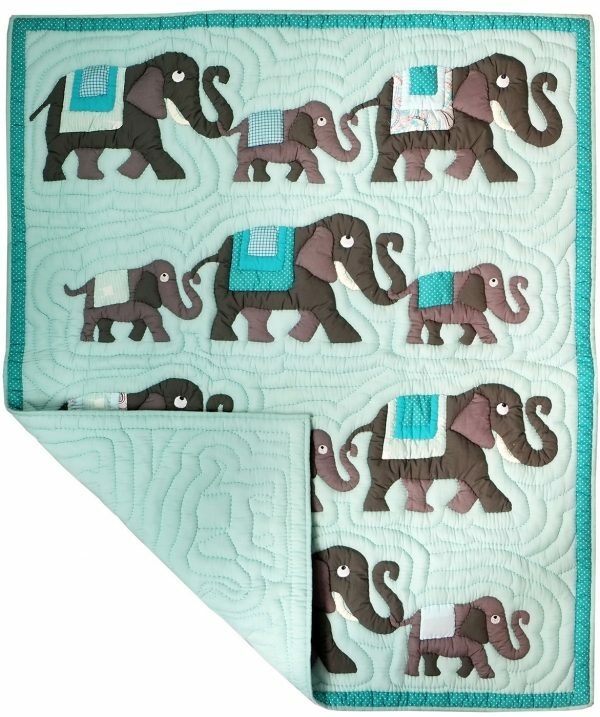 Hand crafted by our women artisans in rural Vietnam and Cambodia, this baby quilt features mama, papa and baby elephants. The quilt is made with 100% cotton fabric and features one of our favorite animals, the elephant. 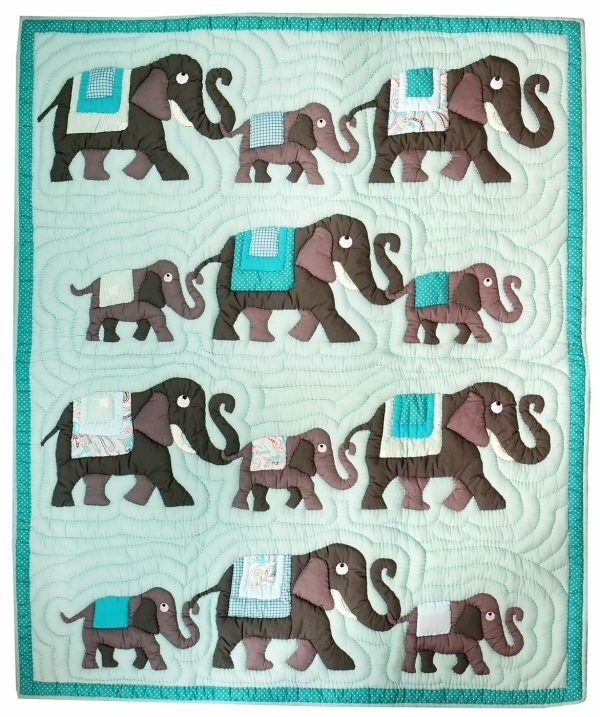 The grey elephants are appliquéd onto a turquoise tonal patchwork background and framed with a thin and elegant border. The backing is simply one fabric in a complementary colour. Between the two cotton layers is a filling of polyester batting for warmth and comfort. 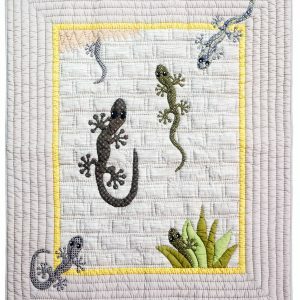 The three layers are then hand-quilted together in an intricate stitching pattern to prevent shifting and to keep the layers secure for the long life of the quilt. 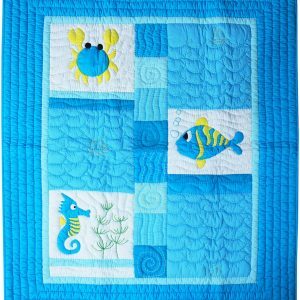 Every item purchased from Mekong Quilts is a gift that gives twice. 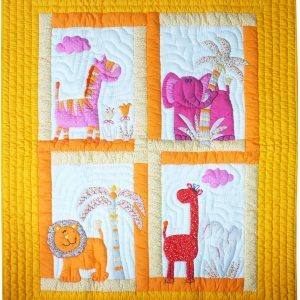 This quilt is also made in Rumdoul, Cambodia. Because of poverty, 80% households send one adult for 4-6 months to Phnom Penh or other provinces for work. 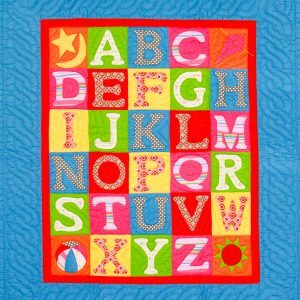 The quilters earn good income at home, close to their children.